Nestled in the hills of Parkville is this 3 bedroom, two and a half bath home. This highly desirable Raised Ranch has all bedrooms upstairs and a full bath in the hallway and half bath off the Master. All bathrooms have tile flooring! Located in the basement is the 2nd full bath and a spacious laundry area. The Kitchen has a tiled floor and a breakfast bar that leads into the Fam room. With very little maintenance outside you will have plenty of time to enjoy the large back patio or Huge Deck off the front! I-29 to 45 highway then head west and turn South on Bell Road and home is on the left hand side of road. 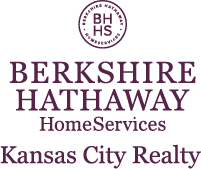 I am interested in 5633 NW Bell Road, Parkville, MO 64152.